One of the principle reasons people seek out physical therapists is for pain management. Pain causes limitations in function and can restrict your ability to tolerate normal daily activities. 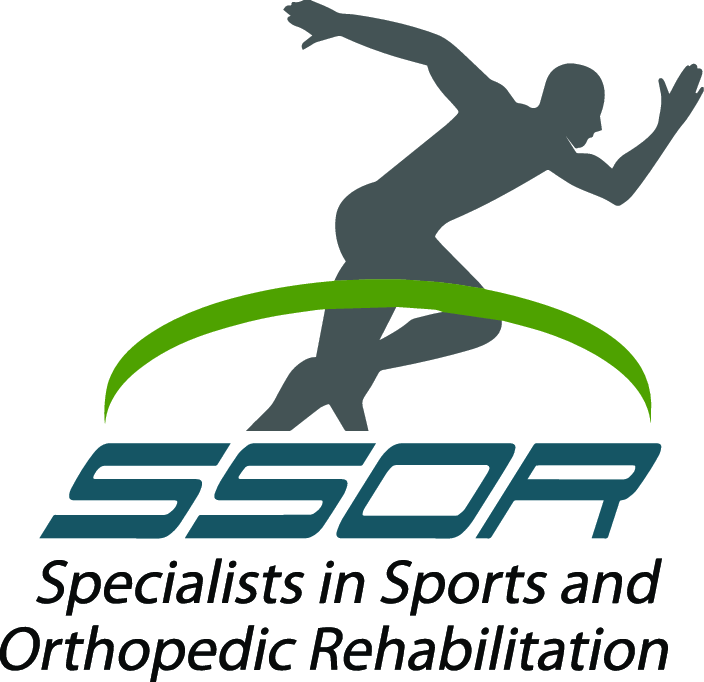 During physical therapy at SSOR, education is paramount to our treatment approach. One of the things we share with patients on a regular basis is that pain doesn’t necessarily mean there is tissue injury or damage. There are several other reasons for pain and even chronic pain. Stress. Whether it’s work or life stress, pain will be elevated. It is no coincidence that when our patients go on vacation that their first visit back, they say that they haven’t had much pain while on vacation (yes, the fruity drinks with umbrellas certainly help too!). It could be “good” pain! People that have sedentary jobs tell us all the time that by the end of the day, their back/neck starts to ache. We like to tell our patients that this kind of pain is, in effect, “good” pain because your body is saying to you, “Hey, I’m dying here. Get up and move around or change position.” Think of it as an alarm clock or a “ping” on your cell phone as a reminder to get you to move a little. Your healthcare provider’s verbiage. “It’s the worst I’ve ever seen.” “Your knee literally fell out on the operating table.” “I’ve never seen a break that bad.” These are just a few examples of things that healthcare providers say that change your perception of how bad the pain is. This is very similar to the first point in this blog. Language is important! Emotional conflicts/family/relationships. Maybe you lost a loved one, or maybe your marriage is falling on hard times. Life events like these will elevate your perception of pain. Lack of sleep. Sleep deprivation is linked to pain. Check out our previous blog on tips for better sleep. Lack of exercise. No, doing crazy high-intensity workouts isn’t necessary. A simple walk will do. Exercise is unequivocally linked to release of “happy chemicals” from your brain. Take a walk – you will feel better. Your day-to-day activities. Let’s say you have chronic back pain. Well, if your job requires you to travel a lot, you sit a lot when you’re at work, and you don’t bend over and lift things up properly, it’s a recipe for disaster. 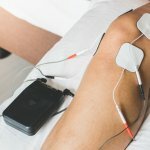 Perhaps you have knee arthritis – doing impact activities, being overweight, working a job on your feet all day, etc – all of these things can elevate pain. Your perception of pain/pain history. A great example of this is when people get in car accidents and complain of whiplash. Many times, all X-rays and MRI’s are completely negative. However, the perception of how they should be feeling makes people “become the role.” Interestingly, demolition derby drivers – whom you would think have crazy high rates of whiplash – have hardly any. Sometimes, people have experienced traumatic events in their past and as a result, their perception of pain is higher. Furthermore, chronic pain essentially “dries up the well” of “happy chemicals” (endorphins and enkephalins) that your body naturally produces. Therefore, you have nothing “natural” left to deal with pain. Hence, people seek out medications or unfortunately other means of pain relief that are not helpful like drugs, alcohol, or risky behaviors. All those diagnostic tests being negative. We hear this regularly – “The MRI’s/X-rays/blood tests/CT scans are all negative. So why do I hurt so much? Am I crazy?” Your pain is definitely real and it is there, but it’s often a combination of the rest of the list that are major contributors to how pain is perceived. The physical therapy staff at SSOR is passionate about helping our patients reduce or eliminate pain in order to help people get back to work, life, and play. Pain management is, in part, education about how the process of pain occurs. Many times, our patients just need to hear “you’re gonna be OK.” Make no mistake – this is not misleading or deceiving people. Understanding how pain works helps people cope with pain, especially chronic pain, better. Give us a call, it would be a privilege to serve you and partner with you in the outcome you desire.